Sushi delivery in London is growing in popularity every day, with the Californian roll positioned as a solid favourite with the London crowd. With such great sushi delivery in central London, as well as the rest of the capital, more and more people are getting their hands on this delightful Japanese fare. But, the Californian roll didn’t just land in the sushi restaurants of London overnight, it had a long and interesting journey in getting there. The Californian roll was born in the innovative time of the swinging sixties when California was the place to be for Japanese chefs who wanted to find fame and fortune in the USA. In order to make their mark, these chefs sought new inventive ways to work, and many of them started developing original and exciting sushi rolls for their American audience- this was how the Californian roll came to be. Sushi and the Californian roll in particular, went down a storm in the USA with sushi being deemed exotic, stylish and cool. Sushi gradually spread across the nation, with the Japanese delicacy becoming a popular treat for all in America. During this exciting time in gastro-history the humble Californian roll took America by storm, and thankfully for us, made its way across the Atlantic into the kitchens of central London. The Californian roll has had something of a rock ‘n’ roll past and it is still as popular as ever, becoming a mainstay in sushi restaurants across London. Sushi in central London has become more and more prevalent with many people choosing the Californian roll over any other as their regular dish of choice. The popularity of sushi restaurants and sushi takeaway in London refuses to dwindle; it continues to be the quick, convenient and healthy fast food of choice for many across the city. 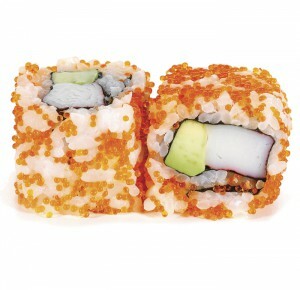 While the popularity of sushi continues to rise in London, so does that of the amazing, mouth watering Californian roll. 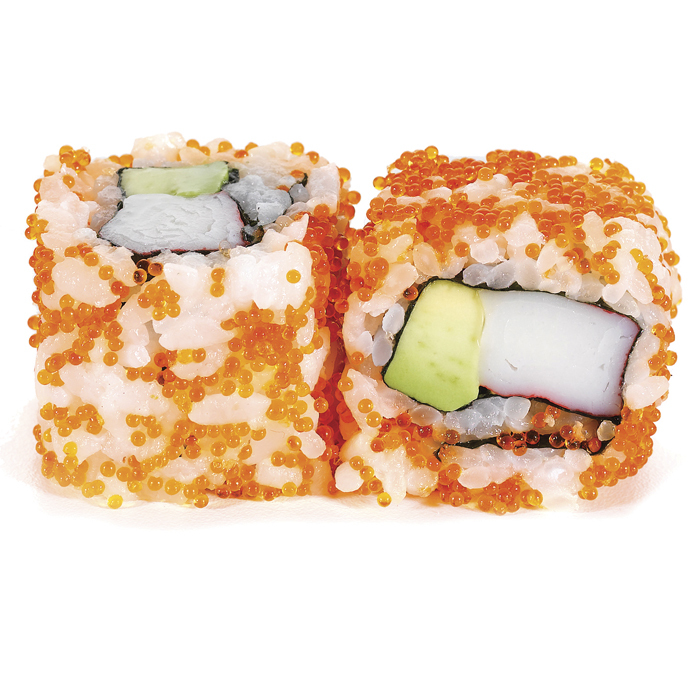 Mouth Watering Ingredients: What’s the Secret to the Californian Roll’s Delicious Taste? Californian rolls are packed with healthy goodness, this is why when craving fast food people are opting for healthy, handmade sushi takeaway in London. You Me Sushi’s Californian rolls are made with juicy cucumber, succulent crab meat and the signature ingredient avocado. It is little wonder people are falling over themselves to get their hands on some, Sushi in central London has always been popular, but the Californian roll has made it a firm favourite in food lovers’ hearts in the Capital. There are a vast amount of health benefits to eating handmade sushi rolls. After all, what’s the point in having a sumptuous takeaway feast if it’s going to make you feel terrible afterwards? You Me Sushi’s Californian rolls are packed full of low fat protein, delicious rice and vitamin-packed vegetables, which makes them the perfect guilt-free option when it comes to sushi delivery. The ingredients of the Californian sushi roll play a vital part in keeping your heart healthy and happy and is a great takeaway choice for those who are dieting. Aside from being tasty, Californian rolls from You Me Sushi have a wide range of health benefits hence why sushi takeaway in London is taking the capital by storm.